Sony have just announced the latest full frame mirrorless camera in their Alpha a7 range - the high resolution Sony a7R III. This latest version brings a number of key advancements over its predecessor, the a7R II. In this review we're looking at what those changes are from the Sony a7R II to the latest a7R III, we'll run through what's changed, what's new, and what's stayed the same so you can make an informed choice when you buy one of these outstanding mirrorless cameras. The Sony Alpha a7R III features the same 42.4 effective megapixel back-illuminated EXMOR R CMOS sensor that was found in the a7R II. However, the high resolution sensor is powered by a BIONZ X image processing engine and the latest front-end LSI. This combination delivers two times faster sensor readout from the sensor and 1.8 times faster image processing. This has led to improved ISO performance with a standard ISO range now up to 32,000 and expandable to ISO 50-102,400. Just like the a7R II, the new a7R III has been built with no optical low pass filter. This maximises the resolution capable from the 42.4 megapixel sensor. Both cameras can also output 14 bit RAW images even when shooting in silent or continuous mode. With a new low-vibration shutter, the a7R III reduces blur in all modes, even shooting at 10fps, and makes several advancements in accurate colour reproduction of skin tones over the a7R II. 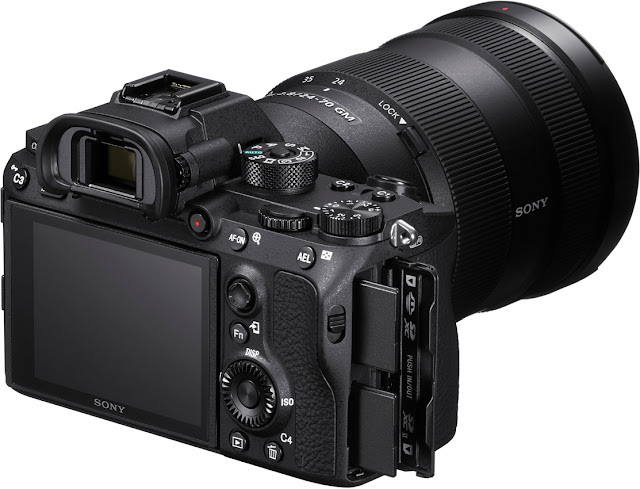 With improved image processing engines and algorithms borrowed from Sony’s flagship Alpha a9, the a7R III boasts a fast hybrid autofocus system with 399 phase detection AF points and 425 contrast detection AF points, giving a wide area coverage of approximately 68% of the image area with a high density of AF points, this greatly improves over the 399 phase detection AF points and only 25 contrast detection AF points found in the older Sony a7R II. With improvements made to the processing and shutter, the Sony a7R III is now capable of continuous shooting at up to 10 frames per second, doubling from the 5fps we found in the a7R II. Additionally, the a7R III will shoot at 10fps for up to 76 compressed RAW images, whereas the Sony a7R II was only capable of 5fps for up to 23 compressed RAW images. 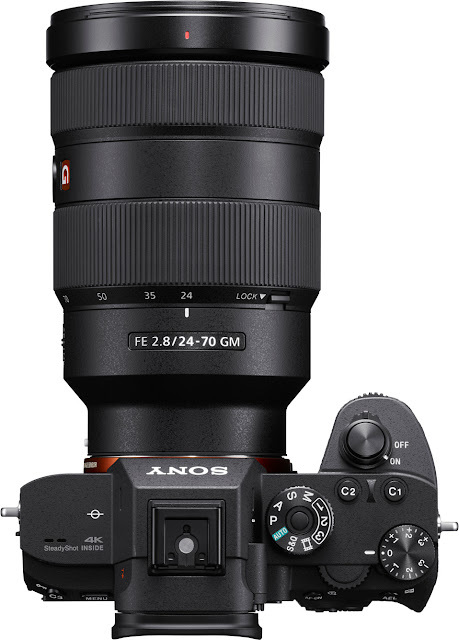 While the Sony a7R II was no slouch when it came to image stabilisation, offering 5-axis image sensor-shift stabilisation for up to 4.5 stops of compensation, the a7R III improves on this with up to 5.5 stops of shutter compensation, allowing you to take full advantage of the high resolution 42.4 megapixel sensor. This is the world's highest compensation performance for an image stabilisation system. This image stabilisation can now also be used with Sony A-mount lenses as well as the native E-mount lenses. A new feature on the a7R III over the a7R II is the introduction of Pixel Shift Multi Shooting technology which composites four separate images into one by shifting the sensor by a single pixel on each side. Once composited using Sony's Pixel Shift software, the resulting image contains data from four separate images to roughly equal 169.6 megapixels. This final image as a result of Pixel Shift Multi Shooting technology is of super-high resolution, with balanced colour, realistic atmosphere, detailed texture, and minimal moire and colour artefacts. Firmly positioning the Sony a7R III as professional photographer's camera, it features Dual SD card slots, one of which is UHS-II compatible for fast data writing, and the other is a UHS-I compatible multi-slot that will accept either an SD card or Memory Stick. This improves over the single UHS-I card slot that we found in the Sony a7R II. The Sony a7R III maintains the high resolution 4K movie recording ability we found in the a7R II, offering full pixel readout with no pixel binning, but now offers S-Log3 and S-Log2 gamma curves and a new HLG (Hybrid Log-Gamma) picture profile for HDR video workflow. The 3.0 inch (7.5cm) TFT LCD touchscreen that we found on the Sony a7R II has been upgraded from 1,228,800 dot resolution to 1,440,000 dot resolution on the a7R III and now offers touch focus operation either using the LCD screen only or using a fingertip while viewing through the viewfinder. The EVF (electronic viewfinder) has also had an upgrade from a 0.5 inch XGA OLED viewfinder with 2,359,296 dot resolution in the a7R II to a 0.5 inch Quad-VGA OLED viewfinder with a resolution of 3,686,400 dots in the Sony a7R III. This improvement over the a7R II gives the viewfinder in the a7R III much truer to life colour and brightness representations as well as being able to select between 100 or 120fps refresh rate. Additionally, a new focus magnifier function gives the ability to autofocus with a selected area magnified in the viewfinder. 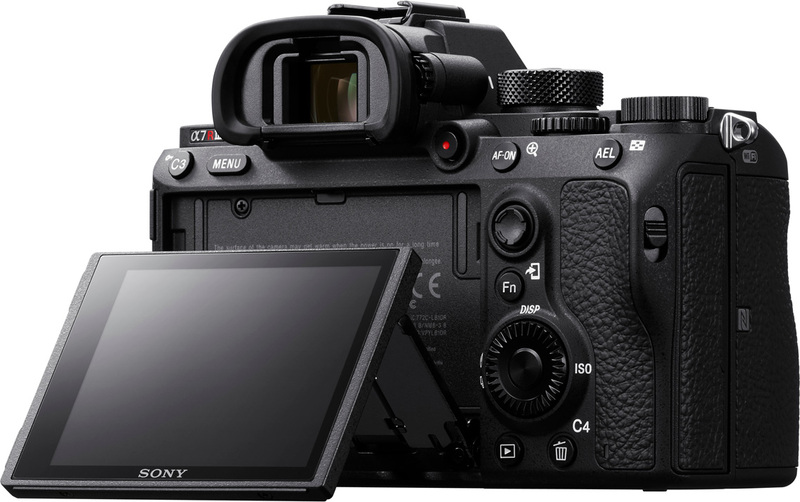 The a7R III inherits the Wi-Fi, NFC and HDMI micro connectivity from the a7R II and has done away with the Micro USB port in favour of a USB-C connection for fast data transfer and tethering capabilities. The a7R III also introduces Bluetooth connectivity with the ability to load location data from your smart device onto still images on your camera. A new Flash Sync terminal on the a7R III can now be used with non-dedicated flash units and cables with standard sync terminals for convenient synchronisation with a variety of flash units. The a7R III is the first a7 series camera from Sony to utilise Sony's higher power FZ battery range (found in the flagship a9), using the NP-FZ100 battery to give 530 still images using the viewfinder or 650 using the LCD monitor, as well as up to 100 minutes actual movie recording using the viewfinder or actual minutes using the LCD monitor. For continuous movie recording the a7R III will record for 180 minutes using the viewfinder or 190 minutes using the LCD monitor. This is a vast improvement over the Sony a7R II which was only capable of 290 still images using the viewfinder or 340 with the LCD screen, and 50 minutes of actual movie recording with the viewfinder or 55 minutes actual movie recording with the LCD screen, and 95 minutes continuous movie recording with the viewfinder or LCD monitor. To complement the a7R III, Sony have released a new imaging software suite called 'Imagine Edge'. With three separate PC applications - Remote, Viewer and Edit available for free download, this suite of software extends the creative abilities of the shooting process and supports live-view PC remote shooting and RAW development. Live viewing on screen with semitransparent reference overlay capability is also available during tethered shooting. The new Pixel Shift Multi Shooting feature on the a7R III can also be used when the camera is tethered to the PC, where the images can be immediately composited and viewed. Overall, there have been a number of not-insignificant improvements to the Sony a7R III over the a7R II which make it a worthy successor and addition to the renowned Alpha a7 line-up. Most notable improvements from the a7R II to the a7R III are to the Hybrid AF system, the faster continuous shooting ability, a more sensitive image stabilisation system, faster image processing and higher ISO ability, higher resolution LCD screens and electronic viewfinders, improved connectivity, dual SD card slots, and an improved battery life. 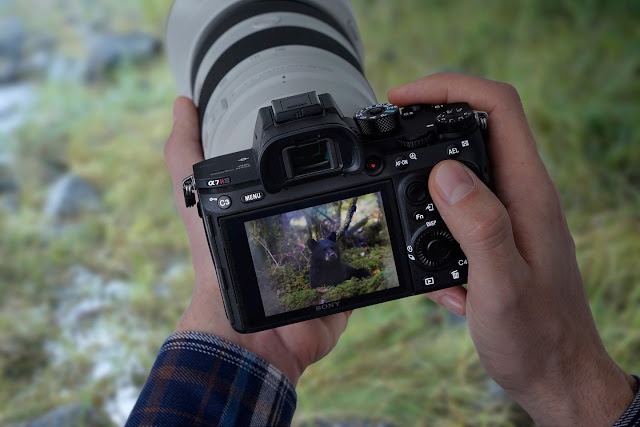 The Sony a7R III is a full-frame mirrorless camera built for professional photographers and videographers will value the professional standard connectivity, longevity of battery life, and the fast and accurate focusing systems. The Sony a7R III will be available to pre-order at Park Cameras from Thursday 26th October 2017, with availability expected from November 2017. The Sony a7R II will still be available alongside its newer counterpart.